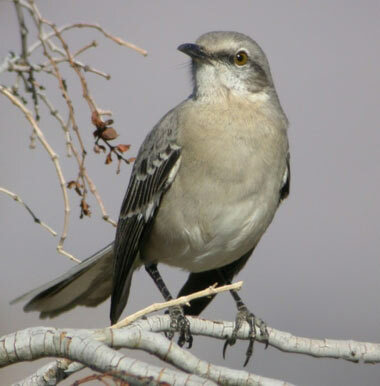 Northern mockingbird photo © Bob Miller / Southwest Birders (all rights reserved; used by permission). Northern mockingbirds have extraordinary vocal abilities - they can sing up to 200 songs, including the songs of other birds, insect and amphibian sounds (even an occasional mechanical noise). 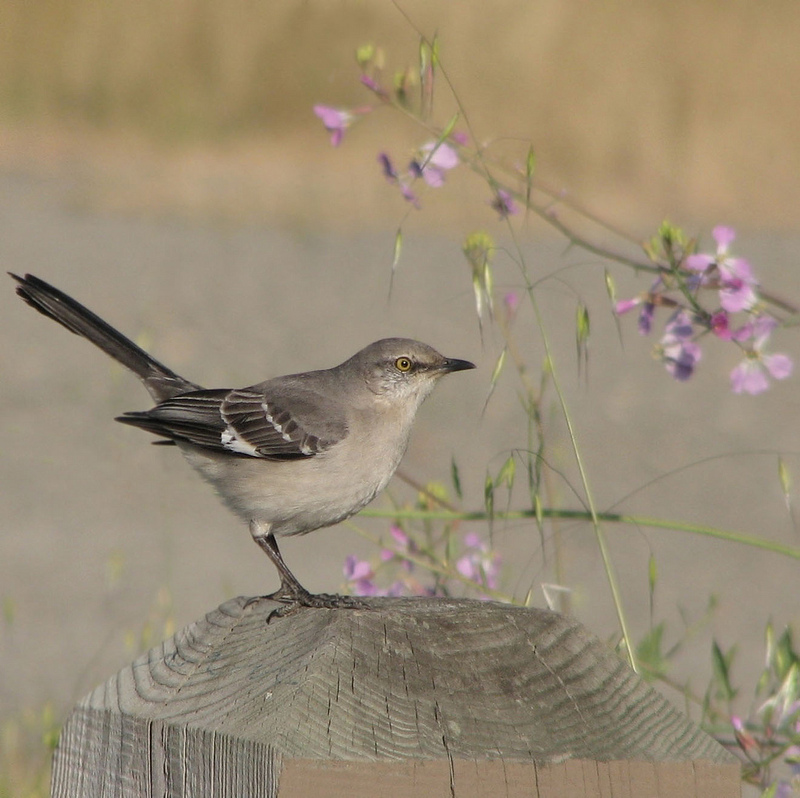 Northern Mockingbird; posing on a post Photo by Jack Wolf/Flickr (use permitted with attribution/no derivative works). 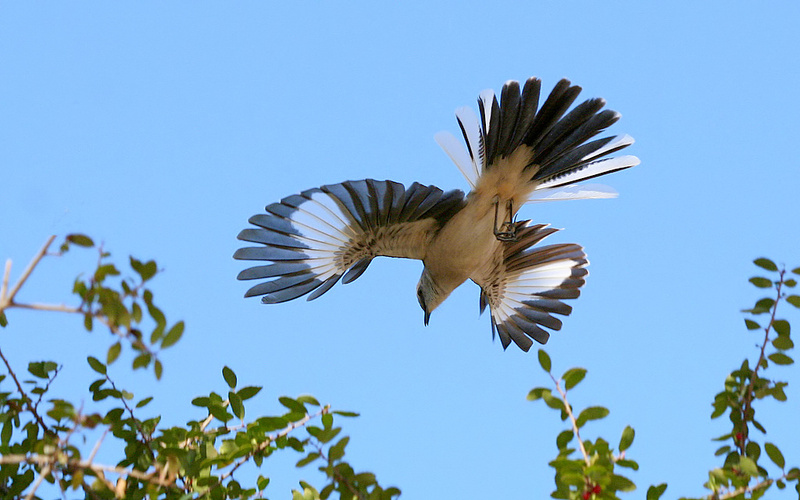 Northern Mockingbird; flashing wings and tail in aerial mating display Photo by Ken Slade/Flickr (noncommercial use permitted with attribution).